The single biggest showcase of Palestinian talent is back. 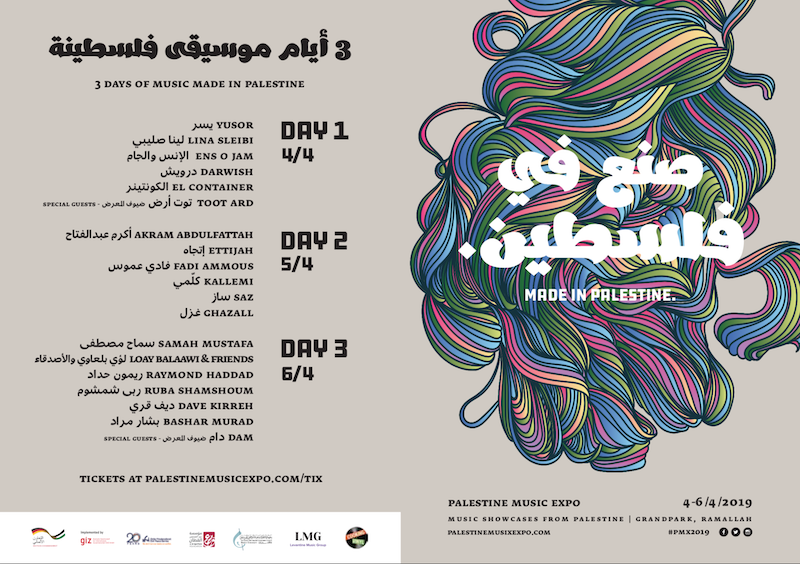 After two smashingly successful editions, the Palestine Music Expo (PMX) is set to return between the 4th and 6th of April under the very apt theme of ‘Made in Palestine.’ Expected to be the largest and most elaborate edition yet, PMX2019 offers the largest ever platform of exposure for the Palestinian music scene . Set to kick off in Ramallah, the festival includes a mini-tour that will have stop-offs at Hebron, Jerusalem, Bethlehem and a number of refugee camps for a more inclusive, well-rounded experience of Palestinian music and the lives that inspire it. The festival will not only showcase Palestinian music, but will also give attendees a sobering insight into what it’s like to live in the Palestinian territories and the hardships of living under occupation. The festival’s principal aim, however, is to showcase a vibrant music scene that may be ignored or stifled by the political volatility of the region. The mini-tour serves to show the audience a social setting that they may not be all too familiar with, but that sheds a great of deal of light on the work showcased at the festival and the forces that resulted in its creation. The last two editions attracted large international crowds, with prominent producers such as the legendary Brian Eno and Lebanese indie royalty Yasmine Hamdan attending. This year, an even larger number of figures are expected to attends to host workshops that are open to the public, in an effort to make the scene the structure it needs to contend with other music scenes in the region and the world. 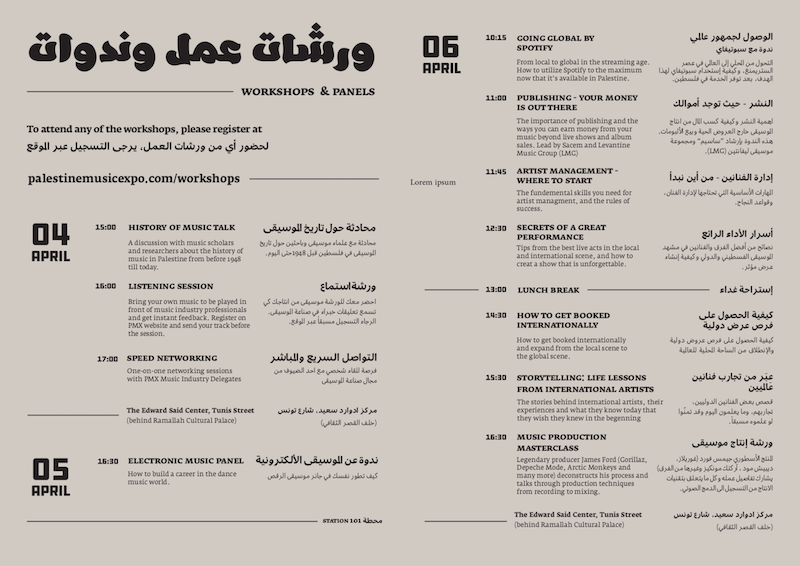 This year's lineup boasts performances by Palestinian household names such as Toot Ard, Ghazall, DAM and many more. "Palestine does not have a shortage of musical talent, what is lacking are the proper channels to showcase it," says PMX founder Mahmoud Jrere, from acclaimed rap group, DAM, of the expo's lofty ambitions. A collaboration by Jrere and Palestinian musician/producer, Abed Hathout, Palestinian writer, Rami Younis and filmmaker Martin Goldschmidt who founded the UK-based record company Cooking Vinyl, PMX2017 and PMX2018 were massively successful in catapulting a number of Palestinian acts into mainstream limelight and this year is expected to be no different. Follow Palestine Music Expo on Facebook and Instagram. Reality TV show waiting to happen.